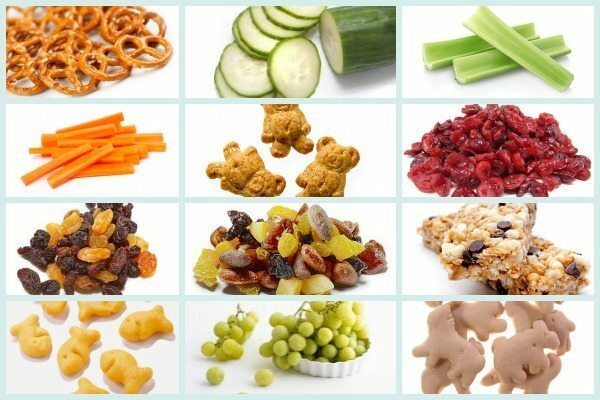 Snack Bag Ideas (40 of the BEST Snack Ideas for Kids & Adults)! Home Recipes 40 of the BEST Snack Bag Ideas! Need ideas for what to put in a snack bag?! As a mom, I have a few Snack Bag Ideas up my sleeve to help keep my sanity and one of those tricks is to make up snack baggies ahead of time so that I am always ready to go with a quick snack or school lunch item. Stock-up on Ziploc Snack Bags HERE! My entire family gets into the assembly line production as we make up various snack bags for the week. I use two plastic dishpans to store my snacks, or you can use a shoe box, aluminum foil pan, or whatever containers work for you. I make one container for the pantry and one for the refrigerator and fill each with ready to go snacks. Not only is this method a sanity saver but it is also much more frugal than purchasing pre-packaged snack size things. What snacks do you and your family enjoy? Leave a comment below and let us know! Previous articleNerf Battle Racer Ride On – Nerf Gun Bike! (Plus, Cheaper Alternative)!